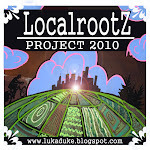 Localrootz Project: Building Colonies and Pollinating the Prairie Fire. Building Colonies and Pollinating the Prairie Fire. The buzzing hive has been building up to a nice healthy colony over the last month of having them installed at the homestead. We finally got a chance to take a thorough look at what was going on inside our hive and figured we would share in our learning experience. First step is a few puffs of smoke at the entrance and then another one on the top of the hive to calm the bees down and also disorient them for a moment. Most times I forgo the use of smoke but being new to the hobby I use smoke when I plan on pulling frames and analyzing the productivity of the hive. After removing the top box that houses our feeder it was time to pull all the frames and see what the ladies have been up to as of late. 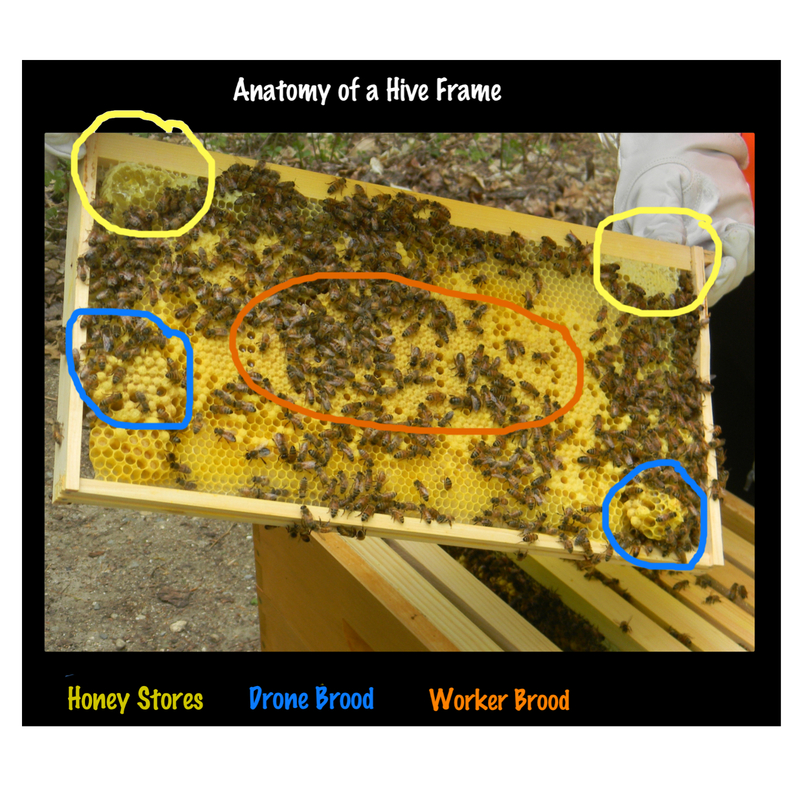 Every frame had drawn comb and the inside 6 frames had a good amount of capped brood. Brood is essentially the term for baby bees. They start out as an empty cell where the workers collect pollen and fill the cell, then the queen comes along and lays an egg that hatches into larva, the bees feed the larva into its pupa stage, when they reach that stage they cap the cell for the final stage of development and eventually a mature bee chews its way out and joins the hive ! Here is an up close image of a decent frame that has several stories to tell. After seeing what I was pretty much expecting after a few quick checks ins over the last few weeks I was glad I had gotten 8 new frames made the evening before because this hive is ready for another box. The typical set up of a hive is two deeps, which is the taller size boxes. In these boxes you let the hive manage their population with the cycles of the larva and pupa. The hive will clean out cells after they hatch and get them ready for the queen to come back around. The typical life span of a honey bee is 5-7 weeks for the workers and 2-5 years for the queen. Though most beekeepers recommend requeening your hive every two years. Anyhow with the first deep filling up with brood it was time to add a second level and fill it with wax foundation frames so the hive can continue to grow and flourish into a pollinating and honey making machine ! After adding the second deep I placed the top cover back on and gave them back their sugar water feeder to help keep the wax production at a maximum as they draw comb out in the new deep. Because I only had two deeps and they are now full of frames I used my two medium deep or honey supers as some people call them to hide the feeder on top of the deeps. This method seems to be working quite well as the hungry workers come up the top cover and feed without any mess or intruders being able to gain access. Typical sugar water robbers are bees from other hives, ants and predatory insects like wasps and yellowjackets that can reek havoc on any hive, especially one that is still in its building stage. After reassembling the hive I spread some newspaper around its perimeter and laid some cedar mulch on top of the newspaper around the base of the hive to keep the weeds from getting too ambitious. Normally I would just use my lawnmower or weedwacker in this area but something tells me the bees may get a little grumpy if I tried that method. Cedar mulch is also a natural ant and beetle deterrent so if it works out the way I planned it, then I have accomplished two goals with one action ! Always a plus with a long to do list. On that note I leave you with a collection of pictures I snapped while studying the habits of my pollinators as they gorge on the vibrant blossoms of our Prairie Fire Crab Apple tree in our front yard. It lies only about 20 yards from the hive and has been bustling with activity since it bloomed a week or so ago ! Till next check in where I will be talking about our expanding garden beds, some landscape work and many more projects that are underway here at the Localrootz Homestead.